Here are seven other interesting things about the granola company and its founder. In this ongoing column, The Digest, Entrepreneur.com News Director Stephen J. Bronner speaks with food entrepreneurs and executives to see what it took to get their products into the mouths of customers. 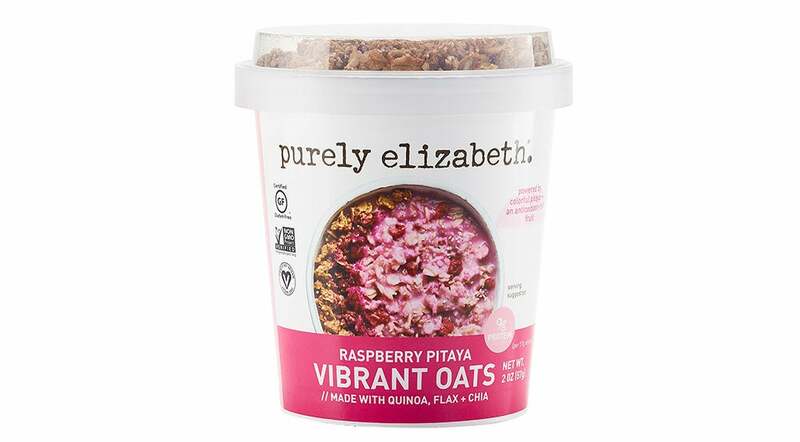 Purely Elizabeth as a brand is now mostly known as a natural granola maker, but that product wasn't even part of founder Elizabeth Stein's original vision. In fact, a food company wasn't, either. If Stein's success with her nine-year-old natural food company proves anything, it's that successful entrepreneurs look to the future and smartly change course when the right opportunities pop up. "There are so many unknowns in the business," Stein said. "The backbone of what we've always done and how I've always envisioned the brand is to be using the most nutrient dense, elevated, innovative ingredients. It's almost like the stock market as far as what you're betting on to be the next big trend and what consumers are wanting." A bit of luck always helps, of course. 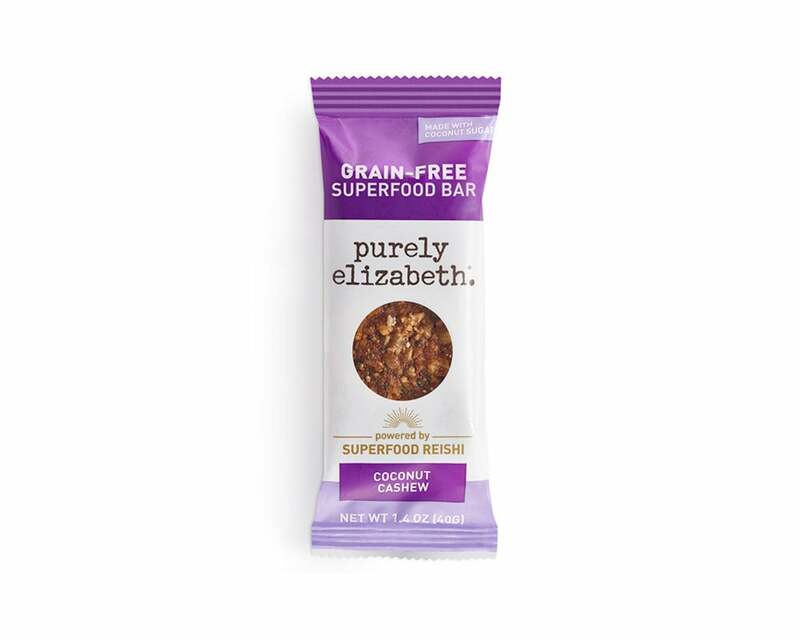 Purely Elizabeth products, which include granola, oatmeal and bars, can be found in more than 10,000 stores. The company last year got a $ 3 million investment from 301 INC, the venture unit of General Mills. Here are eight interesting things about Stein and Purely Elizabeth. 1. Stein started as a nutritionist. She moved to New York to study nutrition, with the intention of advising clients one on one. But business was slow. In the process of creating food plans, Stein created her own muffin mixes with healthy ingredients. She decided to advertise her practice by giving out muffins at a race. "As it turned out, I don't think I got one person to sign up for my nutrition practice," she said. "They just wanted to know where they could buy these delicious muffins. So when person after person kept asking, that was when the light bulb went off. By the end of the day, I started to tell people that when you sign up for my newsletter, I'll let you know when they'll be available in stores and where you could buy them." 2. She pivoted into granola. About a year and a half after getting into business, Stein's muffin mixes were selling in a handful of stores. She was on the brink of introducing a cookie mix when she stumbled into granola. "The granola was actually an accident," she said. "I was never a granola eater. I had never made granola in my life. One cold Sunday in February in New York I was bored, and something inspired me to get off the couch and make this batch of granola. My mom was in town visiting, and she tasted a fresh batch out of the oven and instantly was like, 'This needs to be your next product.' I never changed the recipe from that first day I made it. It's our number one SKU now." 3. The granola sucked the air out of the other products. "It was definitely a good lesson in pivoting, and I likely would not be in business anymore if I stuck with muffin mixes," Stein said. "At the time it was myself and one other person. There was only so much that we could handle, and we needed to focus on what was working." 4. She was inspired by Justin's when it came to naming her brand. "It was a question of how my name was going to be incorporated into it," she said. "I looked at other successful brands at the time. Justin's for example, I resonated with the brand and with him, and I wanted to have that personal connection." 5. A pivotal moment happened for the company while Stein was on the subway. "I got the most incredible email on the subway that said, 'We are losing money by not having you in every Whole Foods region, and we're pushing you out nationally,'" she said. "I was hysterical crying on the subway, and it was probably the most memorable moment I've had. That was the true pivotal change to become a national brand." 6. Her advice for other growing brands. "One of the biggest things that helped us early on was staying focused on our backyard and not expanding too quickly," Stein said. "We had focused on New York for quite some time, in the Philadelphia area where I'm from, and getting in those stores. I was demoing every week and getting that consumer feedback, tweaking anything that needed to be tweaked, and making sure that the business was working and that it made sense to expand and take things to the next level." 7. Stein's education gave her the courage to start her business. "Coming into the business, I'd just finished this incredible nutrition school where so much of the program was not only focused on the education piece but a lot of personal work, building confidence," she said. "I came out of that school feeling like I could do anything and conquer anything. That played out in my life in two ways. One was doing an Ironman triathlon [and I had hated running], then starting this business. I had zero fear holding me back. That's the foundation you need to be able to move things forward." 8. Stein sees Purely Elizabeth as a platform. "Creating this business just allowed me to say I want to impact the way people are eating and living on such a greater scale," she said. "The decision to be able to do it on a grander scale made so much more sense in that we can change the way people are eating, not just 10 [clients]. From the beginning, I always envisioned the Purely Elizabeth brand as more than a breakfast product, it's more of a lifestyle brand to influence our customers just as I would have done for my nutrition clients one on one."